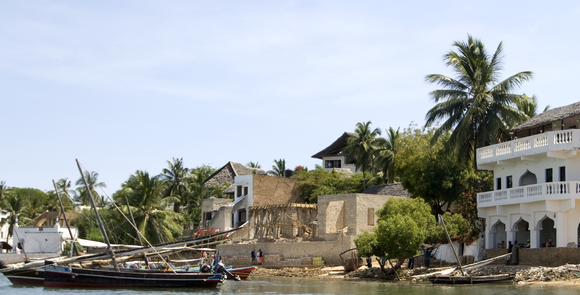 Lamu town is located on the Indian Ocean along the northern coast of Kenya. Blessed with its rich culture, history and exquisite natural beauty, Lamu has welcomed travelers over thousands of years. Described as a magical place of long sandy beaches, rolling sand dunes, turqouise seas, bounteous marine life, lush mangrove forests and river estuaries, the town remains the oldest continuously inhabited Swahili settlement on the East African coast and a UNESCO world heritage site. Lamu is renowned for it's many festivals and architecture built in coral stone and mangrove timber with features such as inner courtyards, verandas, and elaborately carved wooden doors. More recently is becoming known not only as a wellness destination but also a wildlife haven offering a wealth of unmatchable experiences for travellers and holidaymakers. Donkeys still remain the main mode of transportation though the inhabitants still follow old age trades of dhow building and sailing. Founded in the 14th century Lamu has several museums and features on the World Heritage List as “the oldest and best-preserved Swahili settlement in East Africa”. Tourist attractions Include: Lamu Fort, Mnarani Mosque, Riyadha Mosque and the Donkey Sanctuary.